Here at The Cliffs, we believe that climbing isn’t just an activity—it’s a shared experience. It’s not just about reaching up, but also reaching out to welcome everyone into this shared space where we leave the city behind and find that one boulder problem or route that just puts a smile on our faces (or the one that tortures us), to challenge ourselves physically + mentally, to support each other, and to forge friendships with people who are like us and people who are not. Our aim is to offer the best indoor climbing experience, and our climbing walls, routes, and amenities are just the beginning of that experience. Our pulse is comprised of our community and the psych and vibes we bring are what create this space. The Cliffs strives to be a business that does good: one that brings the benefits of climbing to our local communities, celebrates diversity and constantly strives to be more inclusive, stands for equality and compassion, and models stewardship for the Earth. We are so excited for you to be a part of our journey, and encourage you to talk with us if you have any ideas regarding how we can continue to do better for climbers, for our community, or for you as a member of our family. Our mission is not just to introduce kids to climbing, but to welcome them into our space + our community for the long-term. Once kids enter our programs at school age, we aim to keep them around—as youth team climbers, summer campers, and in many cases, as Cliffs staff members—and see them through to college and beyond. Read more about ClimbUp. Read more about Young Women Who Crush. The Cliffs at Harlem’s community scholarships allow local Harlem residents to enjoy climbing at a discounted rate. Stay tuned for details. 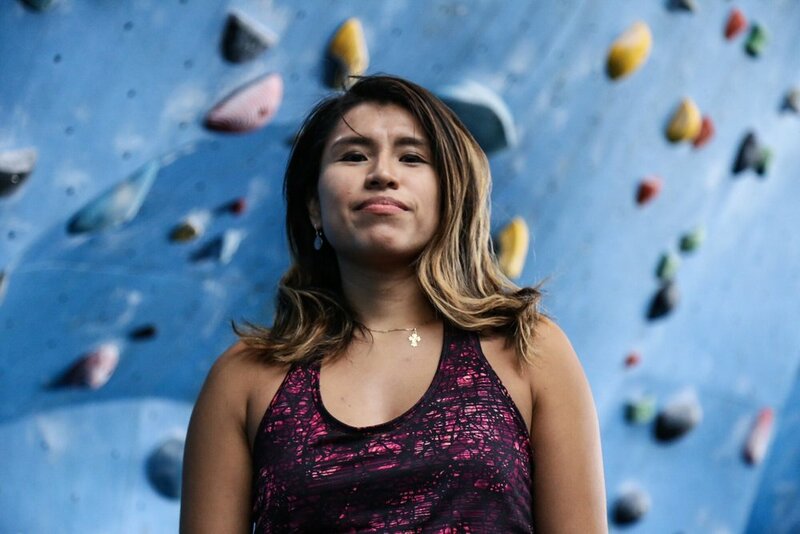 The Cliffs offers scholarships to select climbing festivals that promote diversity in climbing. In the past, we have sent climbers to the Women’s Climbing Festival and Color the Crag. We’ll post scholarship opportunities here as they come up. The Cliffs is committed to protecting the environment and operating our business as sustainably as possible. Our brochures and postcards are printed on 100% recycled paper, all of our parties and events are BYORC (bring your own reusable cup), and every April, we remove disposable water bottles from our drink coolers to raise awareness about plastic pollution. We are always looking for ways to operate more sustainably. If you have suggestions, please let us know below. What organization do you recommend and why?